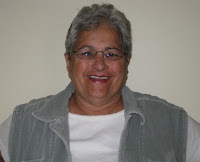 The Columbia County Democratic Committee has endorsed Roberta Davis R.N. for Columbia County Coroner. Roberta Davis, who lives in Austerlitz, earned her nursing degree at the Mt. Sinai Hospital School of Nursing. She also holds a master’s degree in organization and management, from Antioch New England Graduate School. "Besides having extensive experience in medicine and the paperwork necessary to do this tough job, Roberta Davis has a proven track record of 16 years on the bench seeing the importance of evidence and procedures in court cases. She will be an extremely sympathetic advocate for those who are no longer able to speak for themselves. 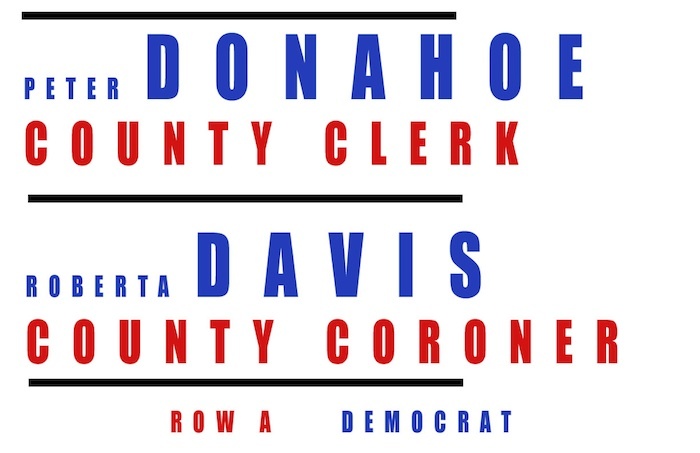 The Columbia County Democratic Committee strongly supports the candidacy of Roberta Davis for County Coroner." Dr. Davis died in 2008. The couple has five grown children and 12 grandchildren. Ms. Davis lives on Schoolhouse Road, on a property that has been in her husband’s family since 1933. 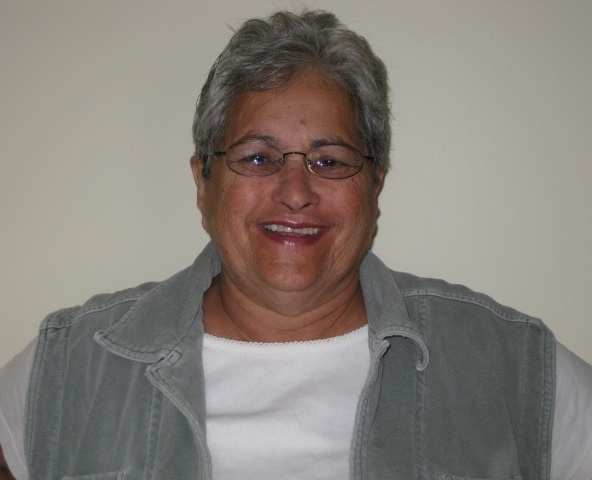 From 1988 to 2004 she was elected to four terms as justice in the Town of Austerlitz. She works part-time as a bookkeeper, an inspector for ambulatory surgical centers, and for a small grass-fed beef operation she started with a family friend. Davis is no relation to George Davis, who with Angelo Nero currently serves as coroner. The Board of Supervisors has approved a new, third position of county coroner. Become a supporter on Facebook here. The Columbia County Democratic Committee have endorsed Peter Donahoe of Stuyvesant for Columbia County Clerk. endorsed in his run for County Clerk by the Columbia County Democratic Committee. Donahoe lives in Stuyvesant, where he has served on the Greenway Committee, Zoning Revision Committee, and Stuyvesant Falls Bridge Project, and has run previously run for Stuyvesant Supervisor. "The Columbia County Democratic Committee is proud to support Peter Donahoe as our candidate for County Clerk. We believe that the office and its record keeping systems are in disarray and desparately need just the kind of experience Peter has to bring open, non-partisan and accessible management practices to the office." 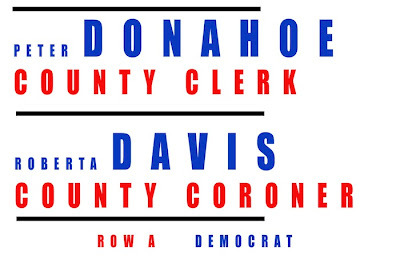 Donahoe looks to make the County Clerk’s office more efficient, user-friendly and cost-effective. “The Clerk's office is one of the most important in county government,” he says. “It’s the office that people contact most often, for every kind of document, from hunting permits to marriage licenses to deeds and legal records. How these records are maintained, and how the information is made freely accessible to the public, is an essential government service." Donahoe has a background in computer technology, high-end imaging systems and the practical skills of troubleshooting and customer service. “These give me unique abilities to meet the challenges of the Clerk’s office and not only improve the quality of our experience of government service, but also make the County Clerk office as efficient and productive as possible to reduce cost and promote investment,” he says. Donahoe works for Sagem-Morpho, Inc., in Albany, an international leader in biometrics that services the NYS Department of Social Services’ office of Temporary and Disability Assistance. The company provides support for more than 200 computer workstations across the state. Donahoe, a certified computer technician, is highly skilled at information management, including hands-on skill with hardware and software, computer network skills and information technology administration. He has many years of experience in problem solving and customer support. As a former police photographer, he knows the importance of documentation and the preservation of information. Donahoe is a graduate of St. Francis College and holds a master’s degree in communication design from Pratt Institute. He is also a certified electron microscopist, having trained at the VA hospital in Albany. Donahoe and his wife, Melanie Burrows Donahoe, have three children.